The Soul City Institute for Health and Development Communication (SCI) is a “not-for-profit”, nongovernmental organisation and the largest social change communication project in Africa. Using a combination of mass media, social mobilisation and advocacy, the Soul City Institute aims to improve the quality of life and health of people in Southern Africa through strengthening individuals, communities and society based on active citizenship and principles of social justice. It is driven by the recognition that human rights are fundamental to health and development. As the Soul City Institute we believe in society, communities and individuals have a right to live their best lives in an environment that is safe, supportive and sustainable. In a world where communities are faced with complex social challenges, the role played by social and behaviour change communication organizations such as Soul City Institute, is crucial for this to happen. Many statistics, numbers and graphs have been used over the years to show the magnitude of the alcohol problem. But figures often fail to show the human suffering which follows harmful use of alcohol. Soul City in South Africa has gone to the other end of the scale by asking young people to tell their personal stories. Touching and informative, and strong reminders that there are many aspects of alcohol use which are not shown in alcohol advertising. Behind every figure and curve in research documents or in government statistics there are individuals with their stories from real life. While statistics can tell much about the situation at societal level, personal stories help to understand what a childhood or a life lost because of other peoples’ drinking really means. 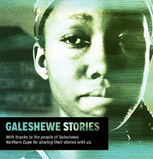 In the booklet “Galeshewe Stories” the South African NGO Soul City has published twelve short stories, told by young people in Galeshewe, a local community in the Northern Cape Province. We meet the young girl who has to take care of siblings and cooking food, while trying to convince her mother to quit drinking. A young boy describes the nightmare of his life when he infected his girlfriend with HIV because they were very drunk and forgot to use protection. A young girl tells about how she was assaulted by a gang of drunken boys on her way home and then raped several times. Nobody else knows what happened that night; now she feels hatred towards the boys and is waiting for revenge. The booklet can be downloaded here. “This booklet is an outcome of a participatory research process on a micro-level”, comments Savera Kalideen from Soul City. “Young people are not only the voices we hear in the brochure. Youth from the community of Galeshewe also produced the material. Soul City trained young people to carry out simple surveys on the impact of alcohol advertising on consumption. As part of this exercise they also collected stories about alcohol-related harm as the problems were experienced by young boys and girls in that particular community”. The introduction to the booklet says that there has been a substantial amount of debate in the media about the role and impact of alcohol in our society. “Although important, these debates do not bring the voices and perspectives of ordinary South Africans to us. The Northern Cape Community Alcohol Advocacy project was started to fill this gap. The stories in this booklet are a small sample of the many stories that they collected from that community. They speak about the impact of alcohol on themselves, their families and their friends. They are a powerful reminder that alcohol advertising shows us almost nothing about the real impact of alcohol consumption”. Civil society partnership gets SAB to withdraw "Beers for Africa"